Annette Gendler will discuss her book Jumping Over Shadows and lead a discussion of Judaism and Zionsm in Post-World War II Germany. 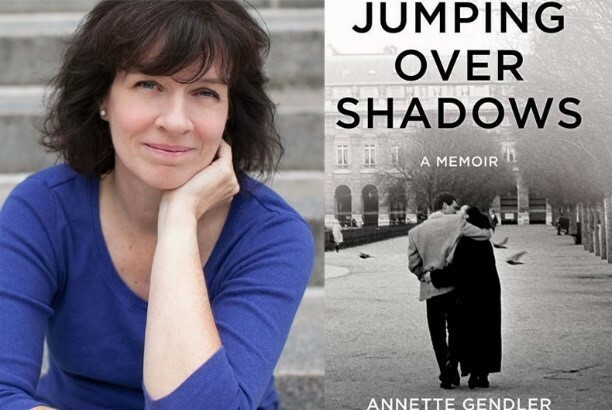 Annette Gendler’s memoir Jumping Over Shadows pulls readers into the drama of World War II with its family tale of an ill-fated marriage between a Jewish man, Guido, and his Christian wife, Resi; interwoven is the equally gripping contemporary love story of Gendler—Resi’s great-niece—her German Jewish boyfriend and eventual husband, and her conversion to Judaism. Ms. Gendler will be joining us and sharing her very personal and fascinating story. Books will be available for purchase along with book signing. There is ample free parking adjacent.If you use the parking ramp bring in your ticket for validation at the restaurant.